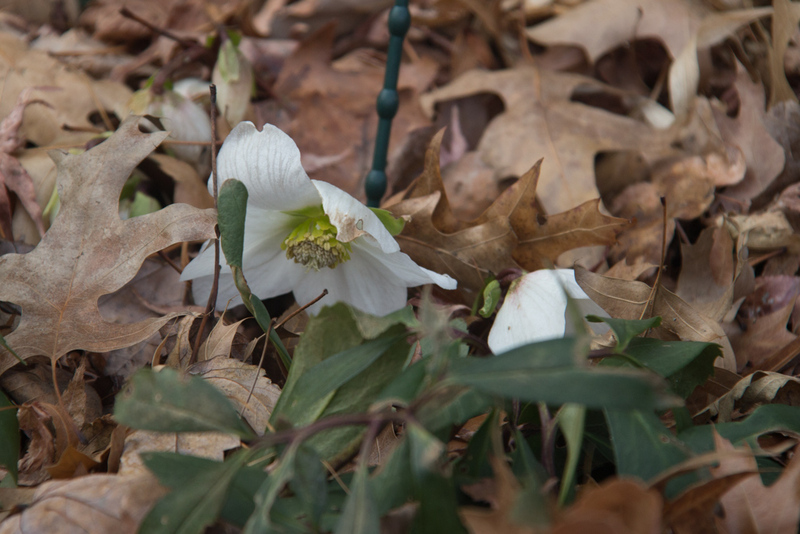 This lonely Christmas Rose is representative of what is going on outside for this January’s Garden Blogger’s Bloom Day. The temperatures got down to 2 degrees after Christmas and have only just begun to recover. We did get a few days in the fifties but now it’s gotten cold again. 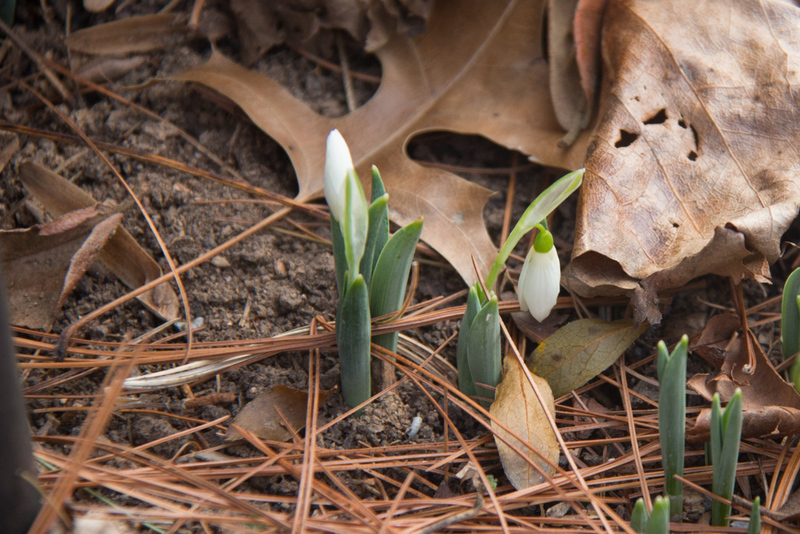 It was just enough to get the first snowdrops to declare the end of winter. 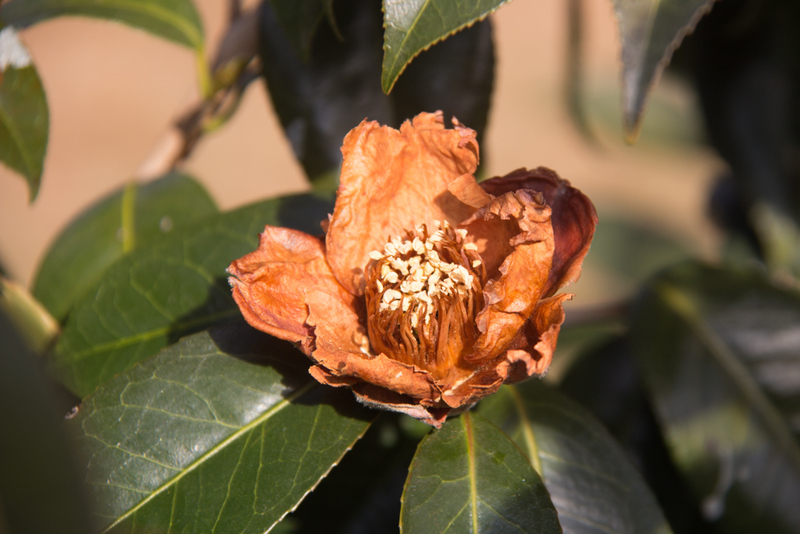 But mostly this image of a Camellia flower more accurately states the wintry conditions. As usual I retreat into the greenhouse for flowery solace in January. 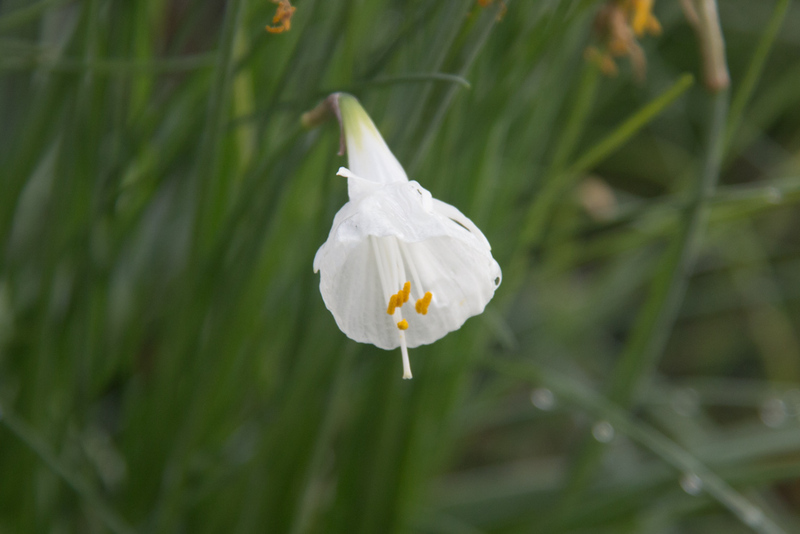 The Narcissus ‘Silver Palace’ has been blooming for a month. 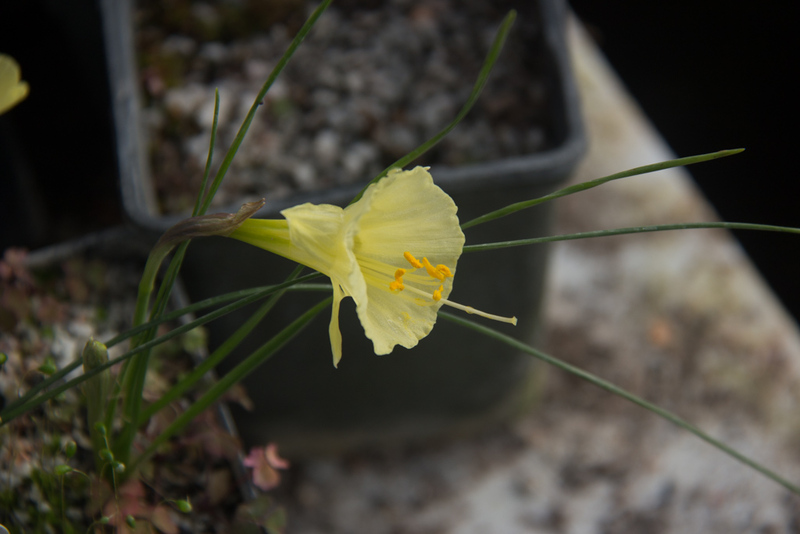 And it’s now joined by one of its yellow flowered brethren. 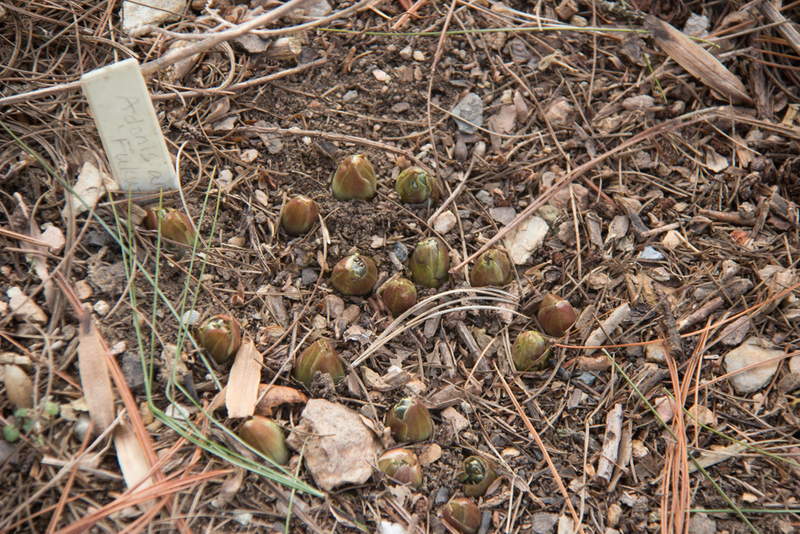 There is one peculiarity that I noted in walking the yard today. 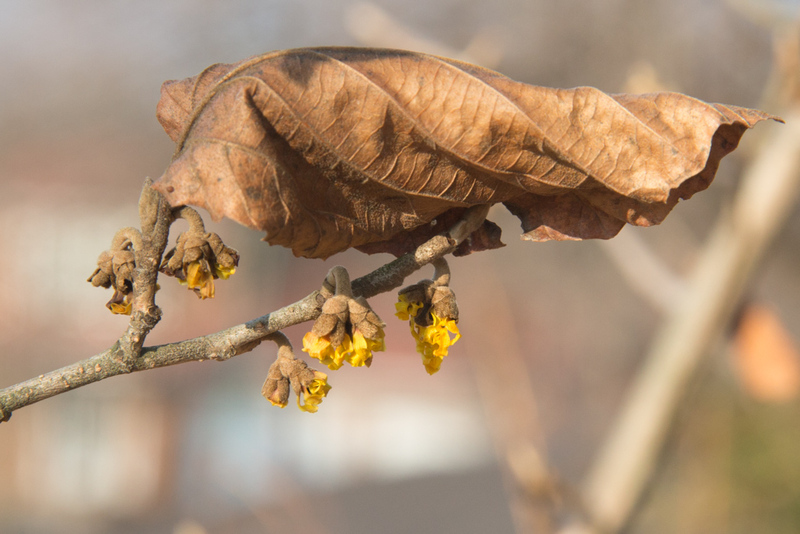 The Witch Hazel Diane which normally blooms after the more common Chinese Witch Hazel has already bloomed on some of it’s branches but they are yellow. This is really strange for a plant known for it’s orange-red flowers. 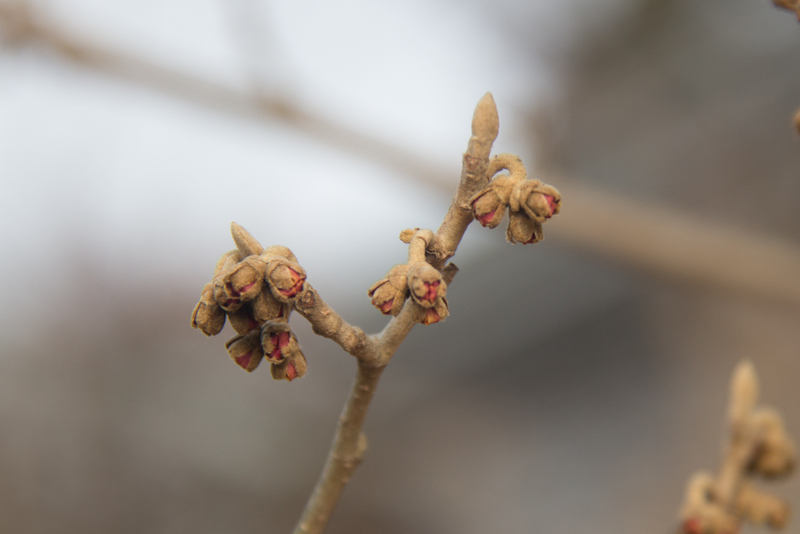 Other branches are getting ready to bloom red, and I know these yellow branches have been red in the past. 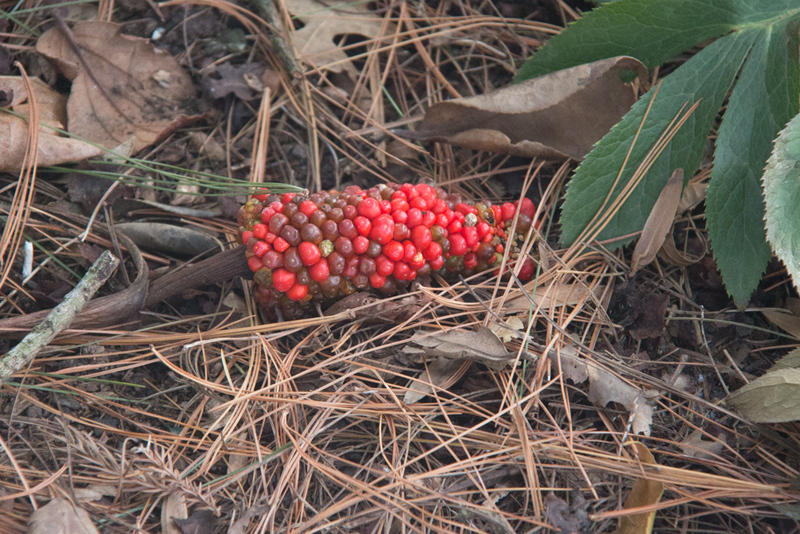 I’ll close on this cold January day with the sparkling red of last year’s Arisaema fruit and the promise of Adonis blossoms to come. By the time one is eighty, it is said, there is no longer a tug of war in the garden with the May flowers hauling like mad against the claims of the other months. All is at last in balance and all is serene. The gardener is usually dead, of course.